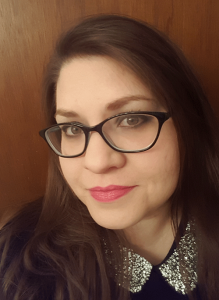 Jennifer McElroy, Reference Librarian at the Minnesota Historical Society, was selected as the 2018 winner of the Learning History Research and Innovation Award sponsored by Gale, A Cengage Company, administered by RUSA’s History Section. The award consists of $2,500 to help facilitate and further research relating to history and history librarianship. Selected for her innovative research into Minnesota local history and working to uncover the truth behind local legend Lord Gordon Gordon, her research thus far is an important contribution to the field of public history. “I have no doubt that her final monograph will be a welcome addition to a topic which up to this point has largely been the source of historical fiction and lore rather than fact,” praised selection committee chair, Christina Shutt. McElroy is a dedicated member of the history section having served as Chair of the Local History committee, Secretary of the Executive Committee, and Vice Chair/Chair Elect for the History Section. The selection committee includes: Christina Shutt (Chair), Erica A. Bruchko, Nancy A. Bunker and Melissa F. Gonzalez.